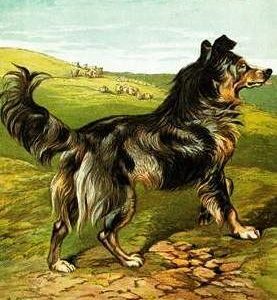 This superb rendering by Harrison Weir, is of his own dog, which we believe to be “Rover”, one of his favourite Collie dogs, whom he has eulogized in a number of anecdotes, including those told by him in his book “Animal Stories, Old and New, told in Pictures and Prose”, published in 1885. 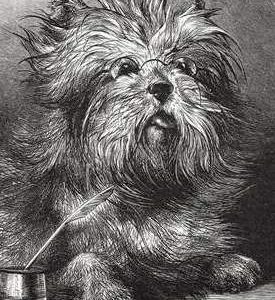 This image is taken from a single book plate, purchased individually without provenance. The quality of the engraving and printing, is high; allowing this image which is relatively small, to be enlarged greatly with no significant reduction in quality. 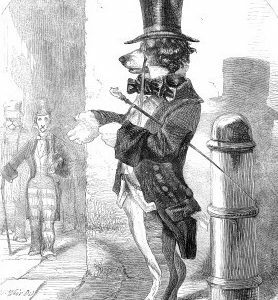 From the picture, we see that the dog has been labelled with his ownership and a petition by his master, and this marries perfectly with an anecdote about Rover, accompanying Mr Weir on foot from “Weirleigh” in Brenchley Kent, to the nearest railway station at Paddock Wood. 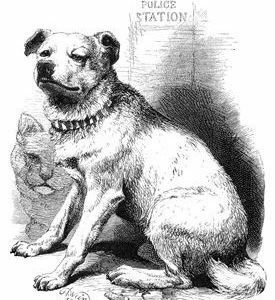 There he would be left in the watchful care of locals and Station staff, waiting patiently for his master to return from a short trip to London and back. 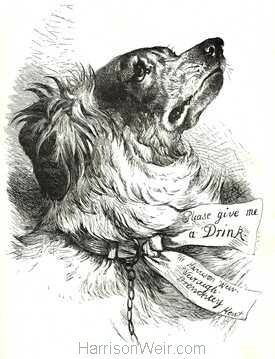 Not wanting his dog to be neglected, the instructions to “Please Give Me A Drink” are made very clear…to one and all. 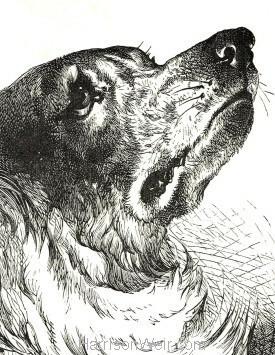 The impassioned and pleading look in the dogs expression, mirrors this request and is so ably captured by the artist. This lovely image is available in A4, A3 and A2 sizing options. 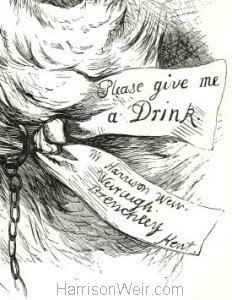 Details: c.1880 – Please Give Me A Drink!